Emory Travel Program trips are open to all travel enthusiasts. The Emory Travel Program is dedicated to giving travelers enriching cultural experiences to enhance lifelong education while strengthening their connection with each other and to Emory. By traveling with Emory, you will be able to explore regions from every corner of the world. Our itineraries offer an exciting blend of exotic destinations and traditional locales, and are led by experienced guides and talented faculty. We work with the most respected travel vendors in the industry to bring you high-quality opportunities to broaden your travel and intellectual horizons. While the Emory connection is an important component of our program, our trips are open to all travel enthusiasts including alumni, family members and friends of graduates, and friends of the university who want to take part in educational travel opportunities. Any revenue generated from the Emory Travel Program specifically supports the existence and operating expenses of the program. This way, our dedicated, enthusiastic, and energetic travelers directly empower us to offer amazing travel opportunities around the world. Learn more about the Emory Travel Program's tour operators. The Emory Alumni Association announces a new travel opportunity offered in conjunction with one of our oldest and most valued partners, AHI Travel. 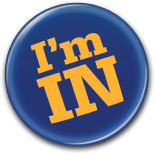 Complete the Emory alumni interest form. Pictures from Mystical India are now posted.